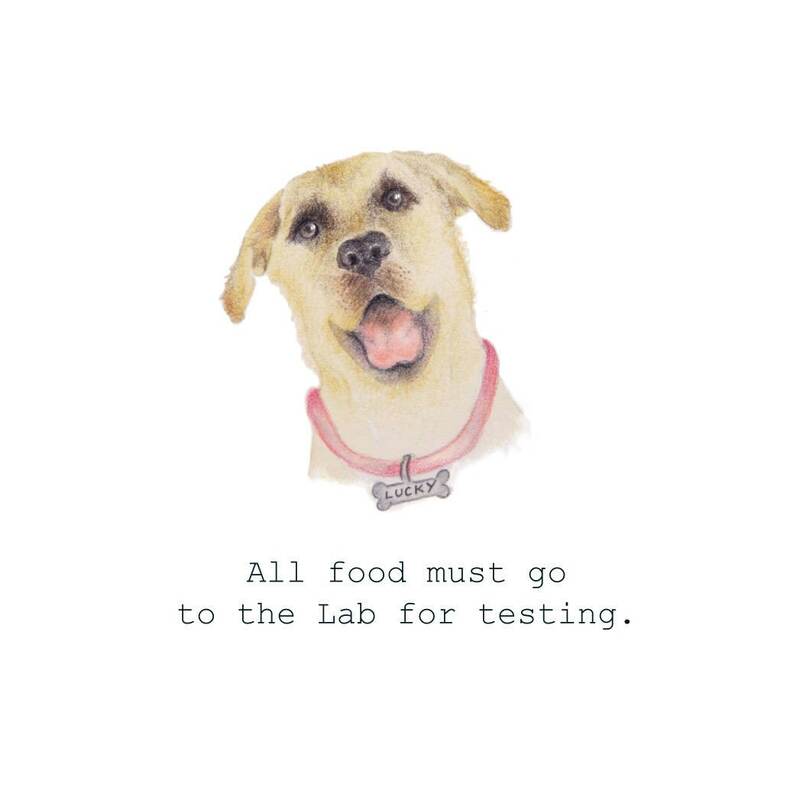 A funny birthday card featuring a yellow lab and the words ' All food must go to the lab for testing'. 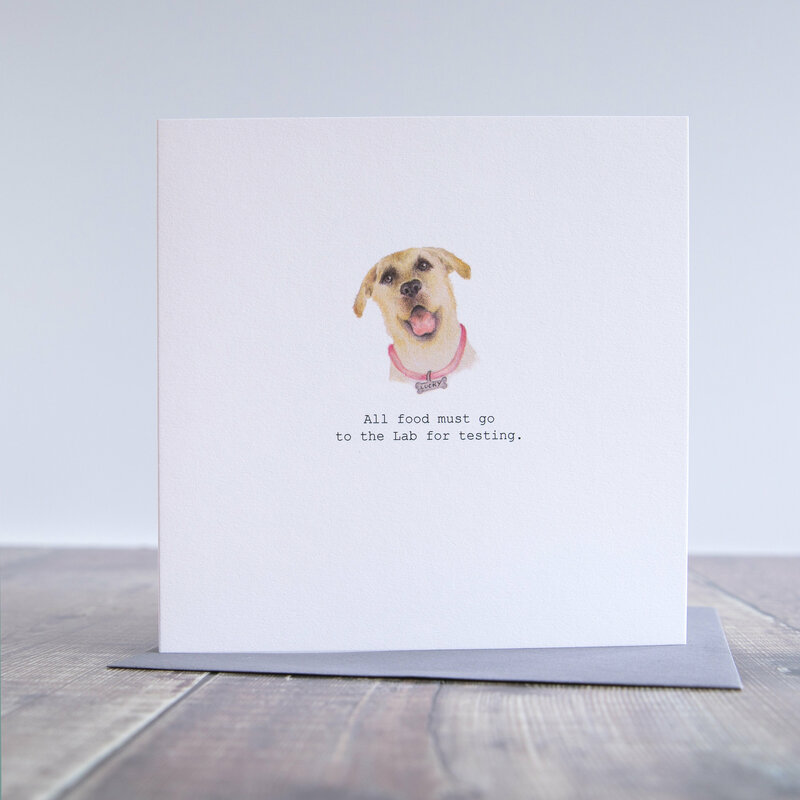 The card measures 148 x 148mm and is produced on heavy weight 350gsm card with an accompanying slate grey envelope. The card is blank inside for your own message. 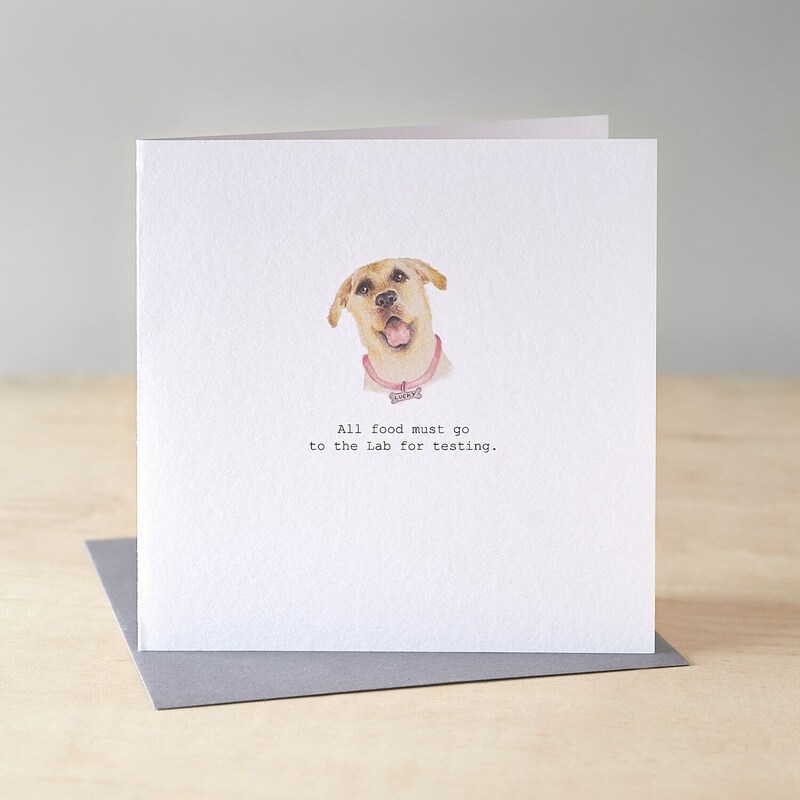 Any Labrador owner would laugh and love this card....perfect.